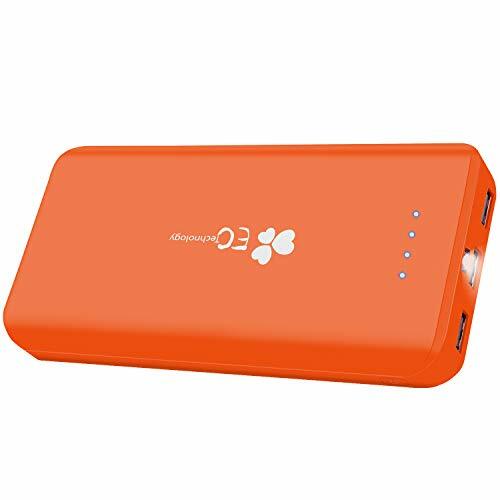 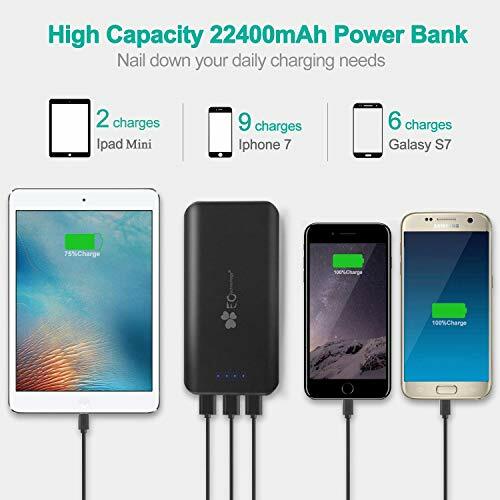 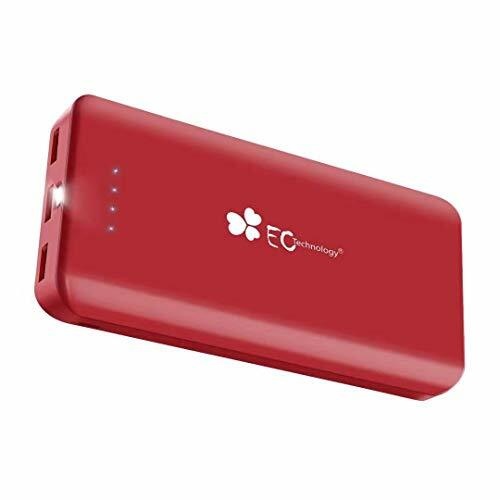 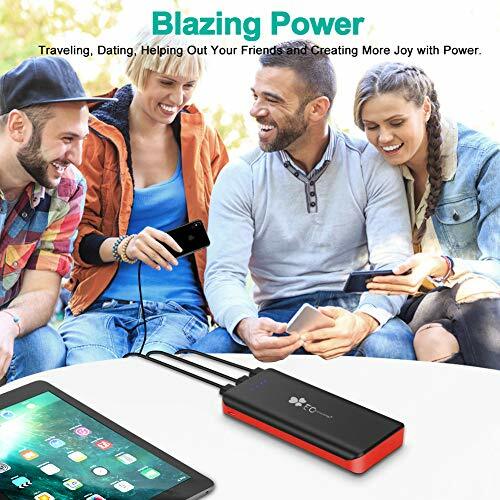 Extra Powerful Capacity: The EC portable universal power bank has the capacity of 22400mAh, could charge iPhone 8: 9.8 times, iPhone 8Plus: 6.7 times, iPhone X: 6.6 times, iPhone 7: 9 times, iPhone 7Plus: 6 times, HuaWei Nova3: 4.7 times, HuaWei P20 Pro: 4.5 times, One Plus 6: 5.4 times, HTC U12 +: 5 times, Nokia X5 / X6: 5.8 times, Xiaomi 8: 5.3 times, Samsung Galaxy S9 / S8: 6 times. 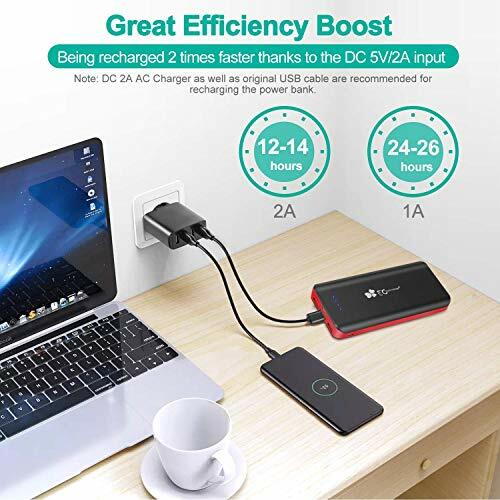 High Speed Charging: 3 USB output ports equipped with AUTO IC technology detects your device to deliver its fastest possible charge speed up to 3.4A with three AUTO IC output port. 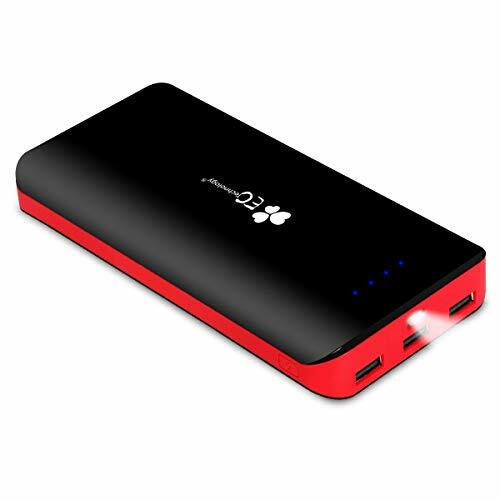 Recharges itself in 12 hours with a 2 amp charger, phone chargers (generally 1 amp) may take up to 24 hours. Portable Charger with User-friendly Design: The blue light indicator shows the remaining power when charging to ensure you are aware of the available power. 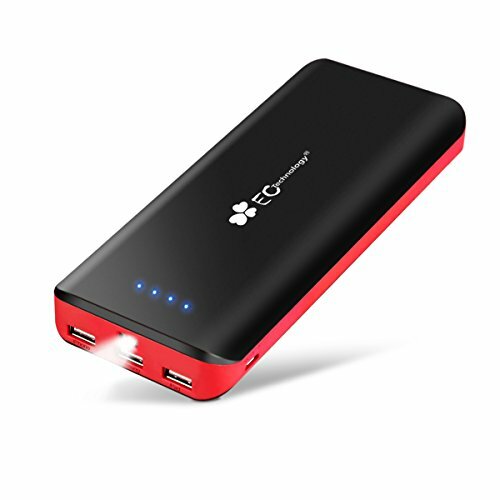 The handy size and Led flashlights make it easy to hold and carry whenever and wherever you need. 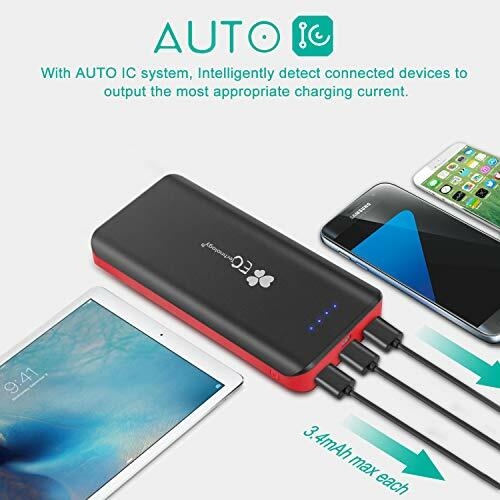 Quick Charge and 5 Security Systems: AUTO IC technology detects the fastest speed up to 3.4A, which allows you to charge your devices quickly to save your time. 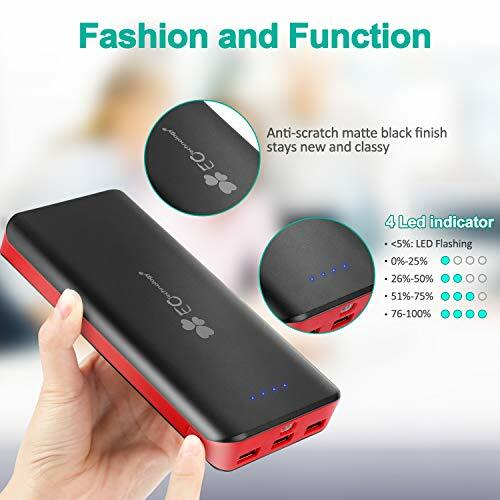 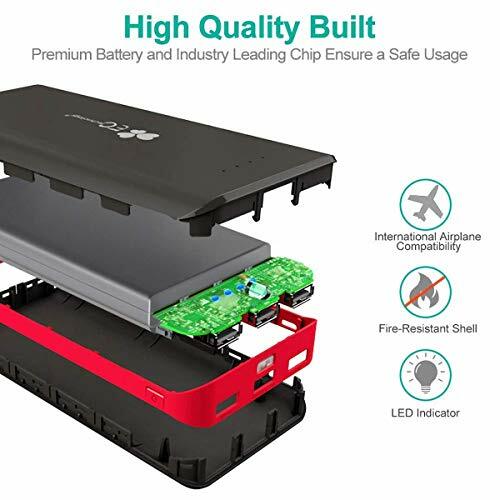 Equipped with anti-overload protection, over-discharge, over-voltage, over-current and short circuit to ensure the safety of both your devices and yourself. 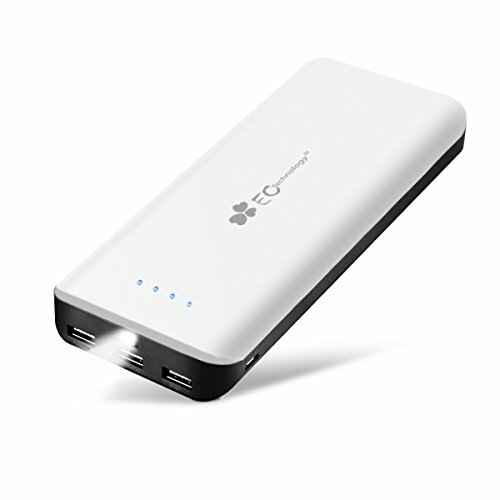 What You Get: 1 x EC Technology 22400mAh Power Bank; 1 x Micro USB Charging Cable; 1 x User Manual.